If you know anything about St. Sebastian, it’s probably from seeing his distinctive image in a church somewhere showing him full of arrows. And from this, you might have assumed that being filled with arrows is how he was martyred. But it’s not. His story is far more incredible! Sebastian was a 3rd century Roman soldier who was secretly a Christian. Due to his courage and skill as a soldier, he quickly rose in the ranks. What his fellow pagan soldiers didn’t know is that he used his position of influence to spread the Gospel and aid persecuted Christians. In one case, two twin deacons in Rome, Marcus and Marcellian, refused to offer sacrifice to the pagan gods and were arrested. When their parents visited the prison to try to convinced their sons to renounce Christianity, the parents were instead converted to Christianity by Sebastian! The son of the local prefect was also converted by Sebastian. Of course, with things like this, his Christian faith couldn’t remain a secret for long. Finally, in A.D. 286, Emperor Diocletian heard of Sebastian’s Christian faith and ordered that he be bound to a stake and and shot through with arrows. And he was. But that’s not the end of the story. Believing he was dead, the Romans left. Then, when the holy Christian woman St. Irene of Rome went to take down his body, she discovered something astonishing: he was still alive! So she took him down, brought him back to her house, and nursed him back to health. When he was strong enough, Sebastian did not hide away or live a quiet life to avoid detection. Instead, he did what many saints have done: he went right back out into the public square and started proclaiming the Gospel. That’s when Emperor Diocletian got quite a shock. As he was passing on a street, he heard a man denouncing his cruel treatment of Christians. When he looked, it was Sebastian, the very man he had seen impaled with countless arrows and left for dead! Rather than take this as a sign he should repent, the emperor unfortunately just ordered that Sebastian be killed again. The saint was beaten with clubs until the soldiers were sure he was dead. And instead of leaving his body out, they dumped it in the sewer. And this time Sebastian really was dead. 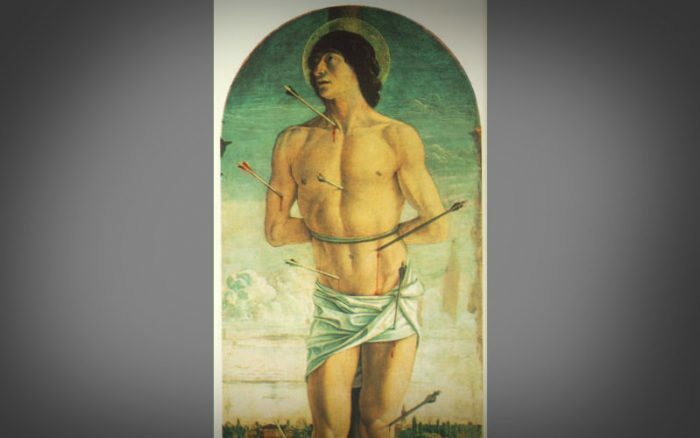 So while St. Sebastian really was shot through with arrows, it was with clubs that he was actually martyred. 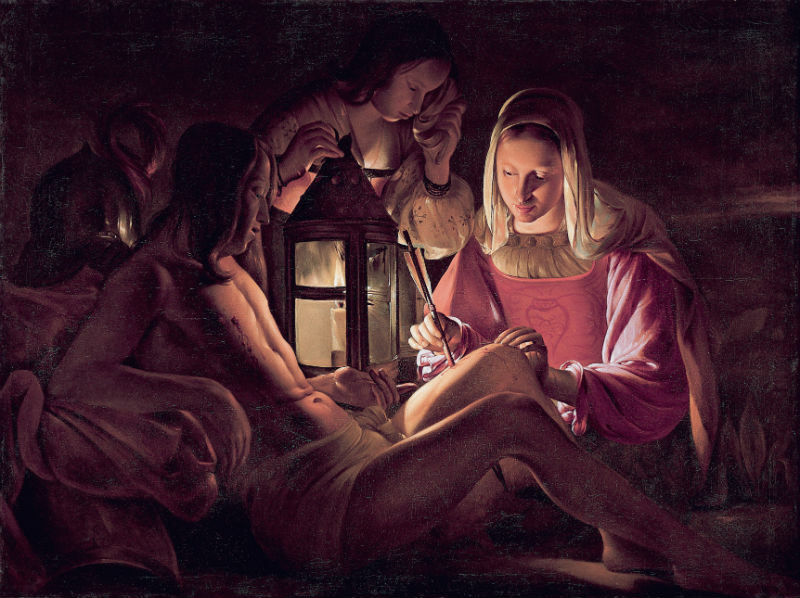 St. Sebastian, please pray for us!